I've spent the fall getting up-to-speed on how sociology approaches the field of large group dynamics. However, over the last month or so I've jumped back into the technical ontology of multi-level selection theory. It's been a real pleasure returning to an approach that values falsifiability. While descriptive approaches work well to give you a "sense of how to think about a topic", nothing beats a good objective test and the inability to wiggle out of hidden surprises. With that in mind, I suspect its time for another thought experiment. Canadian & US charter school prevalence is increasing (DC figures, US figures & news report, NY, Alberta, Canada) Some charter schools simply replicate traditional public educational practice on self-selected populations; some do not. Population self-selection has often occurred via simple socio-economic filtering. However, a growing number of charter schools are tending to resonate around radical instructional practices: filtering is therefore emerging as a nexus of innovative practice, branding and social caste. (K-12 blended learning research gives a good feel for specific innovation types). Feedback within the nexus produces innovative practices optimized for specific social caste sub-sets and a sub-population with unique learning preferences. Individual social-cognitive tendencies produce an emergent structure which casually effects the social-congitive tendencies associated with said structure's production. This type of resonant feedback epitomizes sociology's intractable micro-macro divide problem: it strongly resists models which try to work up through the divide and then back down. So how does ed-as-an-adaptive group broach the micro-macro divide with respect to charter school analysis? First a bit of context is probably needed to adequately situate the charter school test. In many cases charter schools act as independent school districts. 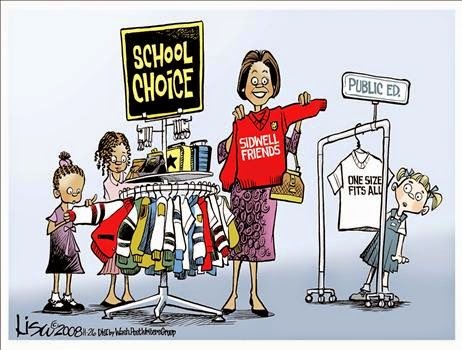 This means the amount of interaction they have with the public school system can be quite minimal. On the other hand, some charter schools operate as simply another school in a public division; albeit one with a unique culture, and sometimes a unique population. Some charter schools have a single campus. Other charter schools have dozens or, hundreds of campuses. Thus charter schools range from one-off wonders, to branded magnet-schools within a traditional school district, to fully independent state-spanning independent school districts. Hargreaves and Goodson suggested that professional learning communities and activist orientations minimize innovation claw back. However, caveat size may have been underplayed. Talk with academic research colleagues suggest, as of late, numerous innovative charter schools have not had their practices re-normalized - even over the decade length time scale Hargreaves' study pinpoints as critically characteristic. Many charter schools do, however, exhibit quasi-complex tension between orientation toward placid conventional practice and radical innovation. How does "Ed-as-an-adaptive-group theory" explain re-normalization, and more importantly what does it say about the larger educational tensions in which charter schools operate? The institution of education (in functioning rule of law societies like Canada or the United States) operates as an adaptive group. Individuals within an adaptive group express behavioural traits which have been evolutionary selected to sustain adaptive group function (when such expression is individually adaptive). The ontological reality of adaptive groups is determined by unique fitness contributions, inter-group competition, group reproduction, and emergent group rationality. Education exists in a tension between two competing fitness orientations: a large group (or groupish) orientation and a small group (or individualistic) orientation. Competing orientations with similar fitness levels produce complex orientational behaviour. Large fitness differences between orientations produce a steady state orientation. Thus ed-as-an-adaptive-group theory attempts to broach the micro-macro divide by specifying two competing biologically selected orientations: one above the divide, and one below the divide. Note: Because fitness is a probabilistic measure of reproductive success, ephemeral groups existing on short time scales resist robust forward predictions about fitness. They can however, be described and differentiated from non-adaptive groups. While I'm making progress on this front, I'm still rationalizing the philosophical and ontological end of things. This means precision varies too much to warrant discussion about non-stable constructs. Charter schools exist in tension between a large group orientation and a small group orientation. The large group is embodied by the institute of public education. This includes people, practice, norms, missions etc. The small group is embodied by the charter school's (self-selected) population. This includes people, practice, norms, missions etc. Minor fitness differences between the large-group-small-group orientation produces complex orientational shifts. Uncertainty in actors' evaluation (explicit or implicit) of relative adaptiveness increases the complexity of orientational shifts. What cues are actors implicitly and explicitly responding to during orientational competition? What internal moral issues arise when actors are embedded in two moderately moralistic but competing nestable groups whose functions and norms overlap to such an extent that freeloading and norm variations are hard to detect and punish? How does an individual's sensitivity to norm variation and freeloading correlate with 1) how deeply they orient toward a group before starting to hedge their bets or engage in radically mutually exclusive behaviour, 2) the extent to which they express cognitive dissonance symptoms. orient toward general interests by purposefully neglecting special interests and at the risk of alienating populations and enabling competition or critique. A general interest (large-group) orientation can be rationalized by citing social equity missions, zero-sum resourcing, student re-integration concerns, playing ball with funding and accreditation strings, etc. A special interest (small-group) orientation can be rationalized by citing the educational value of specialization, experimentation, meeting unfulfilled needs, through cost-benefit calculations, etc. Space requires saving the specifics of charter school large-group and small-group orientations for my next couple of posts. However, even the simple framing just completed suggests that ed-as-an-adaptive-group theory highlights some interesting aspects of charter school tension. It suggests that the tensions in which charter schools and charter school leaders operate within aren't simple issues of fulfilling or not fulfilling potential. Stresses extend down into people's genes and deal with the fundamental social dynamics associated with adaptive group function, participation and freeloading. My suspicion is that freeloading guilt plays an under-appreciated role in charter school tension with institutionalized education and normative practice. Having been on the ground in this exact game for a good decade, there's a definite hesitancy to come across as purposefully exclusionary. It's one thing to focus on a target population; it can be rationalized with institutionalized education's need for differentiation and, more importantly, has a high benefit-to-variance ratio. However, it's another thing to purposefully engage in practice which is good for your target population but harmful for your fringes. Purposeful failure to worry about negative impacts on the fringes is generally a-moral within education. This is especially true when such negligence is rationalized because those on the wrong side of the fringe aren't "your group". In essence, it's a happy-go-lucky Borg that since the 1830's has absorbed almost everyone during successive waves of ~50 year expansion cycles. It's so successful in fact that its hard to imagine that institutionalized education is as much an emergent social structure as the nation state. According to implications from ed-as-an-adaptive-group theory, institutionalized education emerged through between-group selective pressure just like cultural evolutionists suggest chiefdoms, kings and nation states did. Education-as-an-adaptive group therefore suggests that while stable social structures like institutionalized educations are unlikely to disappear, they do face competition from 1) other groups operating in the same ecological niche (I'd suggest big groups operating with the same moderate moral mission level), 2) offspring or splinter groups. I'll save implications of the first option for another blog post analyzing theory implications concerning between-group competition. The second option is exactly the type of thing the educational department in the Christensen Institute theorizes about via their disruptive innovation toolset.